If you popped the question over the Christmas New Year period chances are you are now starting to make plans for engagement parties and the big day itself. 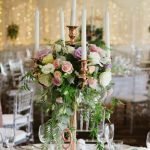 There is so much to consider when planning your wedding day including one of the most important questions, where to have the ceremony and reception! On 27 January 2018 Waterside Events at Currumbin RSL is holding a Wedding Open Day where couples and wedding planners alike can see first had the incredible waterside location in one of the Gold Coast most desirable places. When it comes to weddings, Currumbin offers a stunning variety of beautiful locations for your ceremony and photos and with Waterside Events you can chose to have your wedding on or offsite, as well as enjoying our stunning versatile function space which overlooks the fresh blue water of Currumbin Creek and Estuary. The Waterside Events space at Currumbin RSL really is an affordable hidden gem and the Wedding Open Day will feature a range of other Wedding Service providers including local hair and make-up artists, spray tanners, tailors, dress makers and many more. Waterside Events has been winning major awards for well over a decade for their expertise in weddings, including the prestigious ABIA Awards for Function Coordination and Best Venue. “If you made a wedding announcement over the Christmas period, you really should start looking at booking your reception venue now. Saturdays are popular and book out fast, but our tip is, if you want to save some money, go for a midweek wedding – we offer complimentary room hire Monday to Thursday for 60+ guests…..plus it gives your guests an excuse for an extra day off!” said Tara. The Waterside Events Wedding Open Day will take place at Currumbin RSL on Saturday 27 January 2018 from 10:00am. Take a 360 virtual reality tour of our Waterside Space.